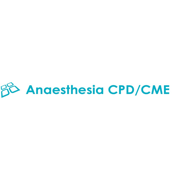 CPD for anaesthetists on your iPhone! No internet connection required, do it in theatre, on the bus home, even in a plane! There are 12 CPD points available in this app. 13 - vote for the next module via twitter @conquestfrca. Work has begun on protecting vulnerable adults. I am looking for contributors to next new modules, ethics, teaching and inotropes. In each of these categories there a 25 five stem MCQs . If you score above 80% will be able to produce a certificate issuing 1 CPD point in that category. You can email this certificate to yourself or take a screen grab (if you give the app access, which it will ask for, the app will automatically take a picture of the certificate). If you get score under 80% you will be able to review the questions and their explanations. After this you can resit the questions and hopefully achieve 80% or more. An internet connection is required to download the questions but after that no internet connection is required for the app to work. Currently we only feature RCoA points but hope that our American, Canadian and South African. Our Australian and New Zealand colleagues are ok to use this app, I just need to update the certificate production (will wait for other colleges to clarify their standpoint before updating). From the makers of Conquest FRCA anaesthesia exam revision iOS app. The two apps share a database, so if you contribute to one, you will be contributing to the other. Trainees helping seniors, seniors helping trainees. Beautiful! As always, if you have any ideas, suggestions or queries please email me at conquestfrca@hotmail.com. We are always looking for new content and if you want to involved in any way please email me. CALL FOR AUTHORS. Submit 10 questions in the topic of your choice (which is not already covered) to get a certificate for your CV, a free copy of either of our apps and a mention here on the app store as a 2nd author. Email me at conquestfrca@hotmail.com or ask via my twitter @conquestfrca is you are interested.